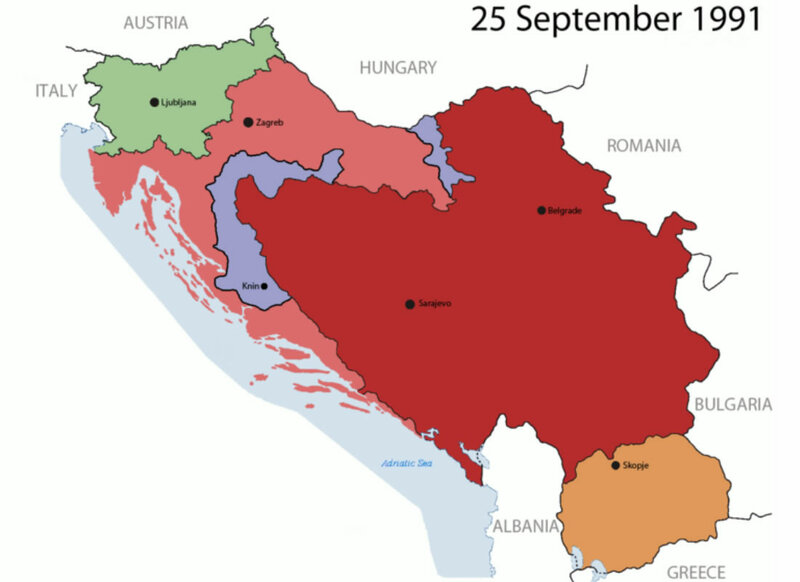 Over the course of just three years, torn by civil conflict and war, the Kingdom of Yugoslavia disintegrated into five successor states: Bosnia and Herzegovina, Croatia, Macedonia, Slovenia, and the Federal Republic of Yugoslavia (later known as Serbia and Montenegro). Click on the interactive map to see how this unfolded. 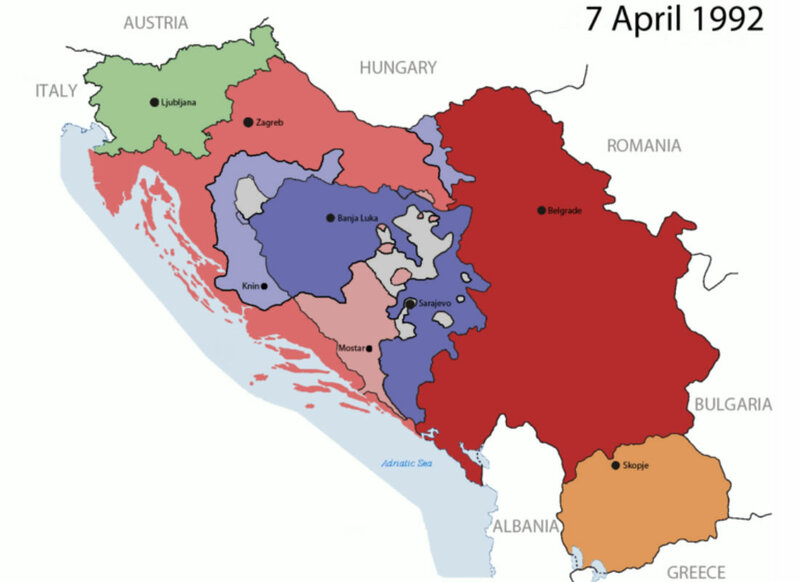 Over the course of just three years, torn by civil conflict and war, the Kingdom of Yugoslavia disintegrated into five successor states: Bosnia and Herzegovina, Croatia, Macedonia, Slovenia, and the Federal Republic of Yugoslavia (later known as Serbia and Montenegro). The Socialist Federal Republic of Yugoslavia, founded in 1943 during World War II, was a federation made up of six socialist republics. From 1960 to 1980, the country was something of a regional power and an economic success story. Following Tito’s death in 1980, ethnic nationalism began to rise. As the communist states in Eastern Europe weakened, symbolised by the fall of the Berlin Wall in 1989, the crisis deepened, and from 1991, the country began to disintegrate along ethnic lines. 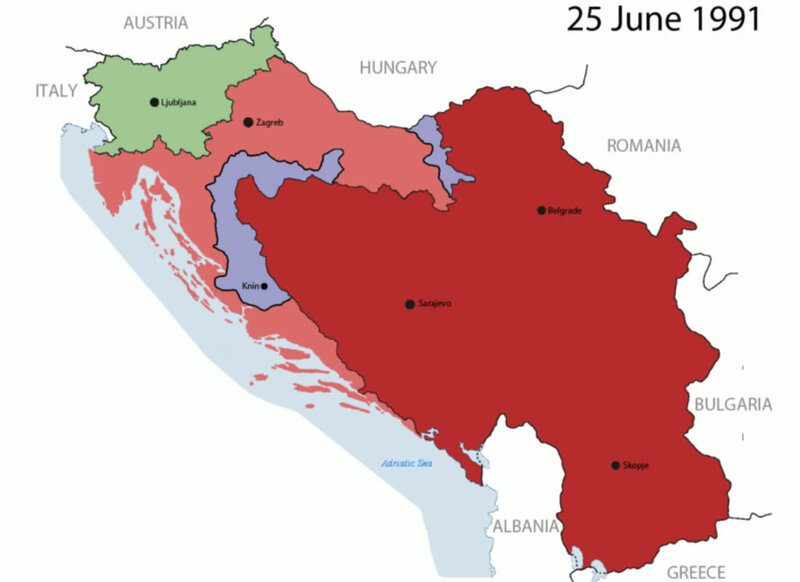 Slovenia and Croatia declared their independence on 25th June 1991, prompting war. 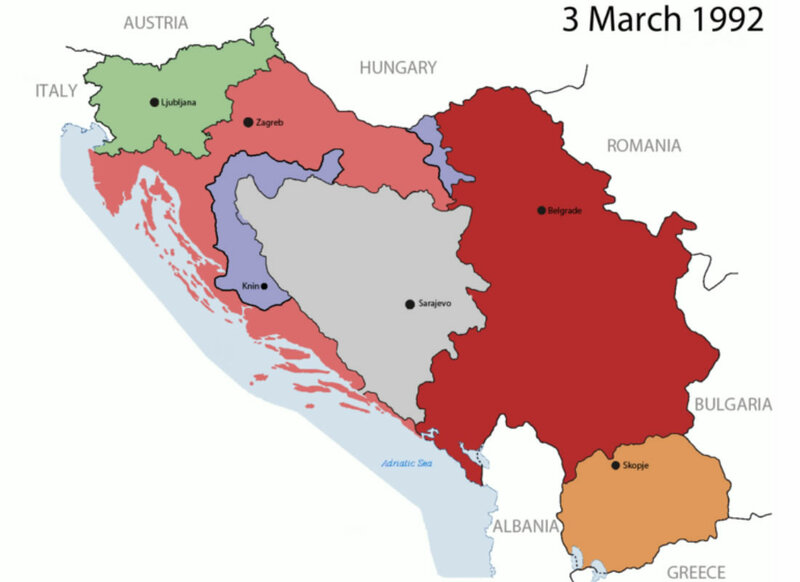 On 29th February, and 1st March 1992 a referendum on independence was held in Bosnia. 99.7% voted “Yes”. Independence was declared on 3rd March 1992. 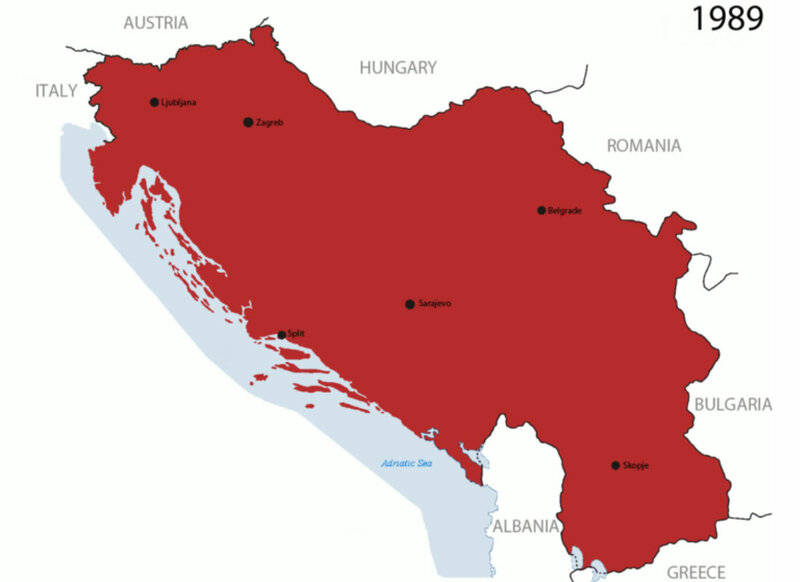 The Serbs in Bosnia then declared the independence of the Republika Srpska. Almost four years of a brutal war followed until the Dayton Accord was signed on 14th December 1995.